Add asparagus spears to a large pan of boiling, salted water. Cook 3-5 minutes, till barely crisp-tender. Drain briefly under cold water. Spears should still be warm. Make a bed of wild rocket on each plate and mound the asparagus on top. 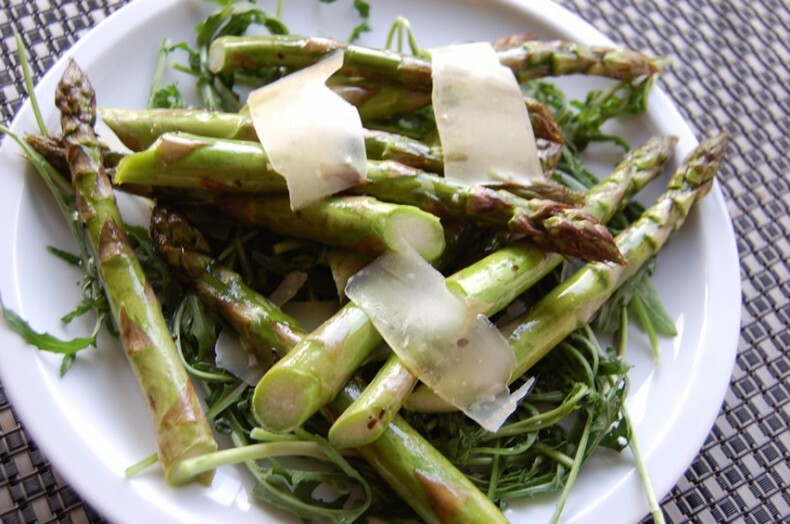 Shave thin slices of parmesan on top of the asparagus. Sprinkle with lemon juice, olive oil and pepper to taste.